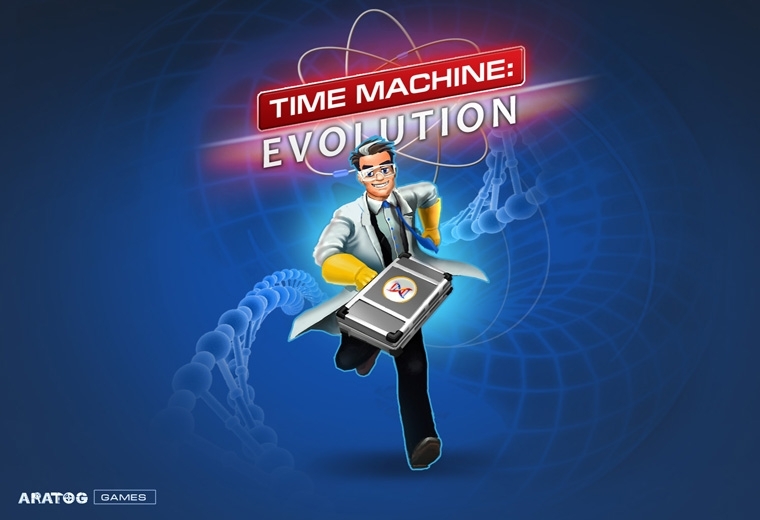 Description: Time Machine: Evolution is unique game in runner genre in the market. The idea is evolutionary line from unicellular organisms to shark, dinosaur, bird, human or robot. 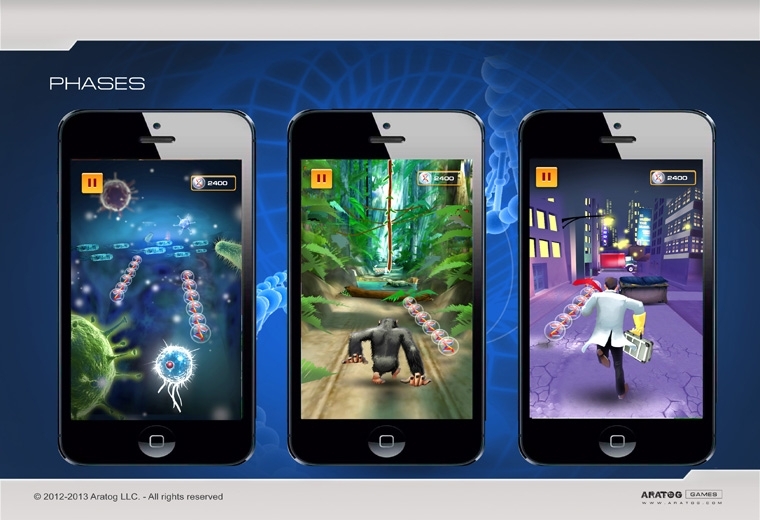 The player need to collect parts of DNA and avoid the obstacles. When the player has the necessary amount of DNA, he goes to the next level of complexity with slightly altered mechanics. The goal is to gather the maximum amount of DNA for the growing of your character to the maximum level. 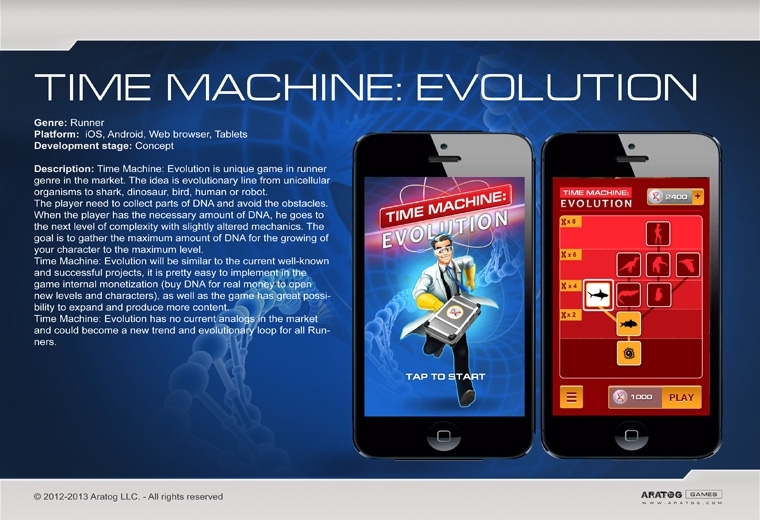 Time Machine: Evolution will be similar to the current well-known and successful projects, it is pretty easy to implement in the game internal monetization (buy DNA for real money to open new levels and characters), as well as the game has great possibility to expand and produce more content. Time Machine: Evolution has no current analogs in the market and could become a new trend and evolutionary loop for all Runners.